Senator Harry Reid of Nevada, the Senate Majority Leader, told his colleagues that, unless they wanted to miss some of their August vacation, they better get moving on extending the “Cash for Clunkers” program. According to the AP, it looks like his push is working (see link below). The Senate is scheduled to leave this Friday. The House, before leaving for their recess, already approved $2 billion more to extend the popular program which gives qualified buyers up to $4,500 for their gas-guzzling trade-in. Even though people like Glenn Beck call these trade-in’s, which get less than 18 MPG, “perfectly good cars,” the “Clunkers” program is not only getting older inefficient vehicles off the road, it is also spurring the economy! The Associated Press: ‘Clunkers’ rebates look likely for another month. This article from the NY Times written by David Brooks and Gail Collins gives us something to think about regarding health-care reform. Before we let the politicians convince us to accept an expensive program that will ultimately cater to the insurance companies and other big-business lobbyists, we should look at creating a health-care system that would be answerable to the American people. CNN is reporting that the House leadership has reached a compromise “deal” with fiscally conservative blue dog Democrats on health care reform, even though they agree that there will be no final vote on the measure “until Fall,” according to CNN. The House is trying to achieve some modicum of success on the controversial health care measure before they leave for recess next week and face their voters at home. Meanwhile President Obama continues his town-hall meeting tour in his attempt to put people at ease about the legislation which, if passed, could cost taxpayers $2 trillion or more inside a decade. At the same time, the president’s personal physician is saying that the current legislation will fail. Dr. David Scheiner, who was Obama’s personal physician for more than two decades, predicts that the legislation “is bound for failure,” according to Sam Stein of The Huffington Post. Obama’s doctor is a fan of a single-payer health care system which would end private health insurance and make the government the sole payer for all health care. His criticism, according to the Huff Post article, cites Obama’s “pragmatism” to the political reality that Americans with private health care would be unwilling to give up their policies in favor of government-run health-care. As if Congress didn’t have more important things to do, Michigan Congressman Thaddeus McCotter (R) will introduce a resolution “to retract his earlier remarks and apologize” for statements made about the officer involved last week in the arrest of a Harvard professor, according the Detroit Free Press. Obama later tuned back his wording but did not apologize. McCotter wants a resolution which will force Obama to take back his words “for having unfairly impugned and prejudged his professional conduct,” according the Detroit Free Press article. Link: McCotter to urge Obama to apologize to cop over remarks about Gates’ arrest | Freep.com | Detroit Free Press. Everyone knows that an invitation to the White House by the President is more than an invitation. Congressional Budget Office Director Douglas Elmendorf says that President Obama “invited” him to the White House on Monday to discuss the agency’s “views about…health reform,” according to the Director’s official blog. The CBO is an independent agency which is charged with providing Congress with the nitty-gritty, the economic impact, of government spending. As a result of the CBO’s assessment of the current health-care legislation, many in Washington, including some Democrats, are now questioning the reform bill which could run into the trillions within a decade. New poll numbers show that the majority of Americans now oppose Obama’s plan for healthcare reform because of concerns about negative changes to their own healthcare programs if the government option is put in place plus the likelihood of tax hikes on the middle class to pay for it. A new Rasmussen poll from Friday, July 17, 2009 shows that only 35% percent of voters favor the government-run option which is down from 41% from a national poll taken just a few weeks earlier in mid-June. Voters expressed concern about the cost which would ulltimately raise taxes on the middle class. They also fear that their own healthcare program would be changed because of government intrusion. Nevertheless, President Obama is insisting that debate over his health reform end and that the Congress move quickly forward to pass the legislation, wanting it on his desk to sign into law by the August recess about two weeks from now. At Childrens National Medical Center in Washington, D. C., today, Obama called for ending the debate saying, “We’ve talked this problem to death,” referring to the complicated issues, like costs into the trillions, surrounding healthcare reform. Obama is proving to be more of a typical politician rather than a statesman. Rather than the inspiring leadership Obama showed as a candidate during the elections, he is now resorting to the old standard of fear mongering to try to get his political way in Washington. Obama fearfully stated as fact that “more children will be denied coverage” unless we pass his program now. Obama evidently conveniently forgot another fact: the SCHIP program, which our tax dollars pay for, makes sure that all children can get medical care whether or not their parents can provide or afford private insurance. For all the fear Obama is dishing out, however, it doesn’t appear to be working. Over the weekend, more moderate Dems joined the growing chorus of naysayers against ObamaCare. We can only hope that these lawmakers continue to be skeptical about this massively expensive program and that they don’t buckle to Obama’s scare tactics! 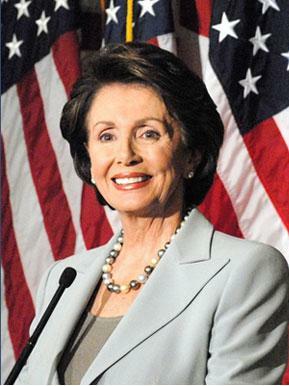 Speaker Nancy Pelosi is attempting to rally legislators to move forward on Obama’s health care by declaring that everything’s okay and on schedule and the Congress is acting with “wholesome dynamism,” according to Fox News. Pelosi appears to be in denial of the truth. The Democrats’ expensive health care reform legislation, which could cost $2 trillion or more inside a decade, is losing ground fast. The bill barely passed 2 committees – one by only 5 votes and the other by 4 votes. A bipartisan group of six senators, including Independent Joe Lieberman of Connecticut, is warning that they will not be bullied into rushing the legislation through. But yet Nancy Pelosi acts as if nothing is wrong! Democrats, including the president, know that they have to act fast if they have any chance of getting this bill through. The president’s popularity numbers continue to decline as people are waking up to the fact that Obama is all about spending and no real change. Obama, with Pelosi’s support and Harry Reid in the Senate, is demanding that both houses of Congress ram his health care bill through before the August recess but it appears that more Dems are now bucking the president’s orders. Democrats in both houses are now realizing that if they go along with the president, they will lose support at home with voters. And, after all, each member of Congress is more concerned about keeping their own power rather than complying with the President, their party, Reid, or Pelosi. The only thing we know for sure about Supreme Court nominee Sonya Sotomayor is that she is a master dodge ball player. At times boring all of us – except perhaps the most adept legal eagles – with her equivocating answers, Sotomayor has not directly answered any of the questions put to her by the Senators. 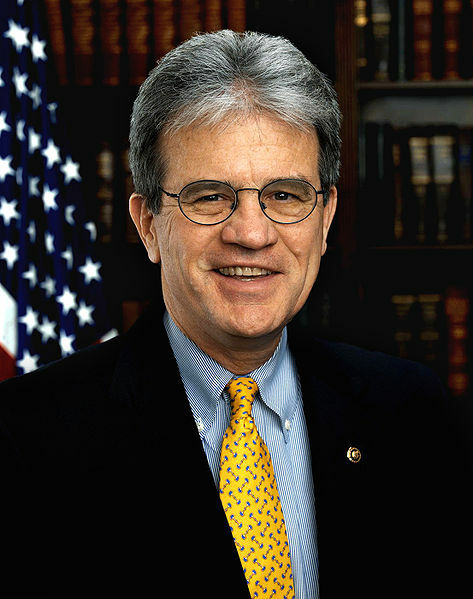 Today’s exchange with Oklahoma Senator Tom Coburn was an exercise in futility. For nearly one hour, Coburn asked her questions on several key issues including gun control vs. the right to ownership, abortion, and what constitutes a fundamental right that can not be overturned by a Court or the Congress. Sotomayor’s answers were consistently boring and laden with legal terms and case citings. She never once answered how she would rule on any of these cases or what her own views are on these issues. What does she think the purpose of this hearing before the Senators is all about? Does she think it’s so we can see her face? The purpose of appearing before the Senate committee is to ascertain how a nominee for the Supreme Court thinks, what their decision process is, how they arrive at decisions, and their belief system. The reason why it’s so important to find out how a potential member of the Supreme Court believes and thinks is because Supreme Court justices are, once confirmed, on the Court for life or until they voluntarily retire. Dodging questions or refusing to answer how she feels about issues does not help the Senators nor any of us understand what kind of justice she will be if confirmed.